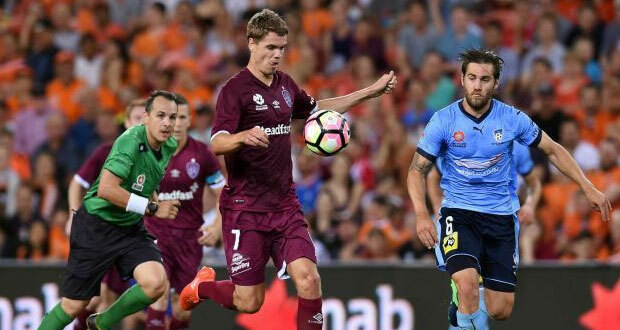 Brisbane Roar became the first team to take points off runaway competition leaders Sydney FC when they held them to a 1-1 draw at Suncorp Stadium. The Roar came away with a point thanks to a Man of the Match performance from goal keeper Michael Theo who went from conceding 7 goals from 9 on target in recent weeks to saving ten shots in a single game. A number of those chances were point blank saves in a 1 on 1 situation as the Roar backline gifted Sydney FC a shocking number of gilt-edged chances. 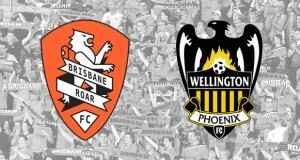 Although the Roar were fortunate not to lose the contest, they do now have a run of five unbeaten matches. The game was the first time that the Roar wore their new maroon kit. 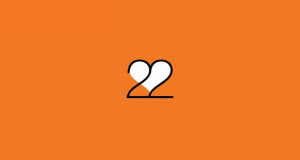 Roar promoters shaped the contest as a ‘State of Origin’ clash and it seemed to do the trick with 17,000 in attendance on the night – an extra 2-3k above the Roar’s average figure. Adelaide’s horror run continues and incredibly, the defending champions look to be on course to face the exact same start to the season as last year. Seven rounds now and no win. Only this time they don’t have Bruce Djite, Pablo Sanchez or Bruce Kamau to bail them out. One of the funniest highlights of the round was Kerem Bulut’s disallowed goal against Melbourne City in which the unsettled striker celebrated by diving amongst the fans, kissing his badge and running around half the pitch before realising the linesman’s call. 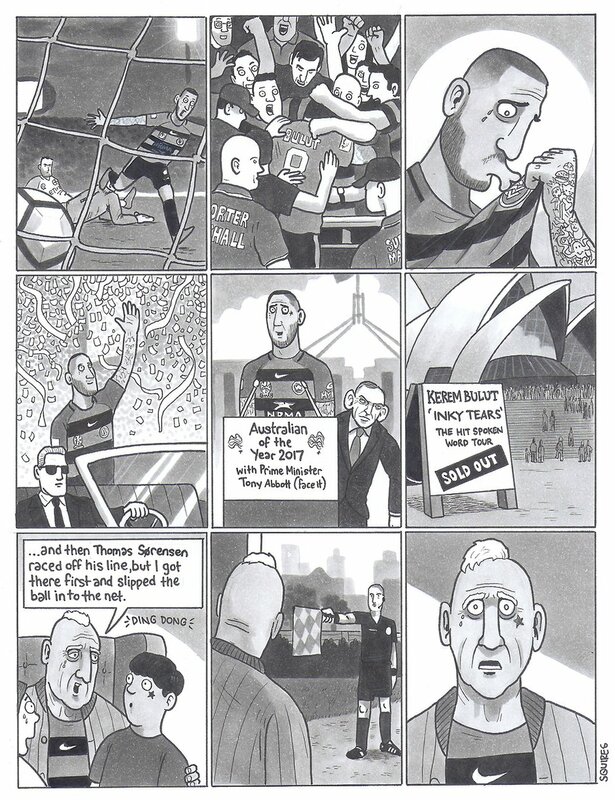 A moment captured beautifully in comic book form by David Squires in the Guardian.